Having an audio converter is more necessary each day due to the vast amount of gadgets and formats that are appearing. 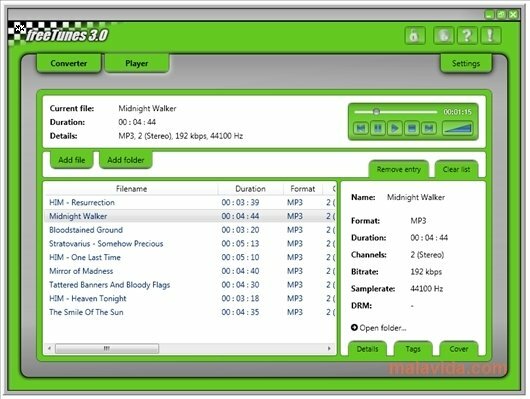 freeTunes is an audio converter that contains powerful tools to complete all kinds of audio format conversions. Any audio file can be used, including those that have been ripped from a CD or DVD as well as music, video, podcast and audiobook files. And the resulting file can be exported in various formats: MP3, AAC, OGG, WMA and WAV. Another possibility is that you can create mobile tones for iPhone in M4R format, an ideal option for those people that want to customize their telephone as much as possible, or to eliminate the DRM protection from protected audio files, like those that come from iTunes. With freeTunes you can also work with the ID3 tags of the MP3 files or organize and structure your files in a different way. You will also have access to different skins to customize the appearance of the software. 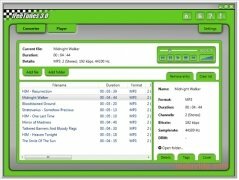 If you need to convert audio files you can download and try freeTunes. It has everything that is necessary for this task and is easy-to-use. The trial version can be tested during 7 days, extendible to 21 by means of a registration.